Sometimes your cold-busting clothes just aren’t powerful enough. In this Venture Heat interview, the company shares its electrifying approach to this problem. I’ve struggled with Raynaud’s syndrome my entire adult life. That means I’ve been fighting for 20+ years to find clothes and other ways to stay warm, long before I ever launched Cold Outdoorsman. One company had been on my radar for some time, but I never took the initiative to reach out because I figured it was just “little ol’ me” asking questions. Thanks to you, dear reader, I’ve finally been able to conduct the Venture Heat interview I’d thought about for years. Venture Heat doesn’t use wool and insulation to help people beat the cold outdoors. Instead they work with powered clothing — an electric blanket for your body, so to speak. To learn more about the company’s approach, I spoke with Kevin Ruter, Venture Heat E-Commerce Manager. Q: So many people focus on wool and insulation for warmth. Venture Heat’s strategy goes straight to the (power) source: electricity. What made this light bulb go on when Venture Heat was founded? A: Our original idea was inspired by a plug-in heated blanket, and we thought, “why can’t this be portable and in clothing?” Since we love the outdoors and have always been looking for a way to extend our seasons and adventures, we thought this was the perfect solution. Q: Why do you think more companies haven’t explored this powered-heat route for clothing? A: It really takes the electronics expertise to provide exceptional heated clothing, and most clothing companies don’t have the infrastructure to perfect this. Q: Electricity and water don’t play nicely together. What sorts of fail-safes do you use to ensure that the cords and batteries are 100% protected against water short-circuiting them and/or harming the wearer? A: All of our wiring and controllers are protected with a waterproof coating. We have built in circuits to our battery packs to ensure that if they were to get wet, they would shut off immediately in order not to short out the garment or harm the user. Q: I’m sure you encounter a lot of people who are skeptical about the clothes’ day-to-day use because of a battery pack. 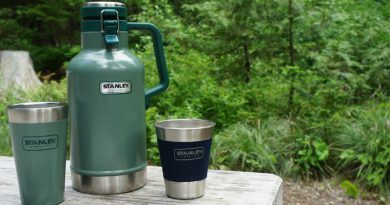 Outdoors-y folks are obviously concerned about warmth, but they also don’t want any additional weight or things that’ll consume precious space. How big are the battery packs, and how heavy? Do they make Venture Heat’s clothing look or feel bulky? A: It is understandable about people’s skepticism in wearing clothes with a battery. Our batteries weigh roughly 8 ounces. They are about as wide and as long as a business card and less than an inch thick. Our glove batteries are even smaller! You can hardly notice you are carrying a battery when wearing our garments, especially once you start enjoying the heat. Q: Some people, myself included, have called Venture Heat’s products “basically an electric blanket that you wear.” That’s not entirely correct, is it? Can you share about the technology you use vs. the coils in an electric blanket? A: In a sense that is true, as that is where our original inspiration came from. 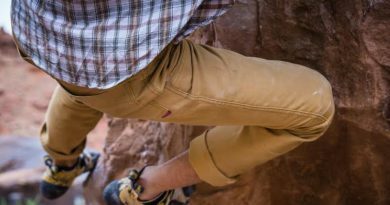 The difference is over the years we have innovated our heating elements using micro-alloy wiring that is ultrasonically bonded between two materials then stitched into each garment to create more well-rounded comfortable outdoor clothing. Other than the heat that comes with every product, we add features such as Dintex and 3M Thinsulate layers in our gloves to make them water and wind resistant. Q: Your materials seem to be largely polyester, spandex and other synthetics. What consideration has Venture Heat given to natural materials? What attributes have led you to choose synthetics over natural materials? A: One key factor has to do with the markets we strive to support with our product line. We match the popular materials used in those markets with the garments we make. Also, it is important that our products don’t shrink and wear the way many natural materials do. Q: When you’re designing new gloves and clothing, does the Venture Heat team focus first on form or function? In other words, does the look/feel take precedent, or does warmth? Why? A: We take a three-pronged approach to this by looking at the current popular styles in the market, how we can take that and apply our heating system, and then how well it will function. If we leave any of these areas out we would not achieve the success we expect in our customers’ continued satisfaction. Q: I get cold hands, so I’m fascinated by the Epic 2.0 gloves. They’re heated and touchscreen-friendly and waterproof. Normally waterproof and touchscreen don’t come in the same gloves, let alone with powered heat. How did you pull that off? A: The Epic 2.0 glove is one of our best products. We knew with the continued growth of touch screen products, it was important to provide our users the ability to use their devices without having to remove their gloves in the cold. The waterproofing is achieved with our Dyntex waterproof membrane installed within the glove. It did take us some time to find a durable material to provide a truly functional touch screen friendly surface, but we did it. Q: Do you see skiers and snowboarders buying Venture Heat products? Do the heated gloves offer the same dexterity that non-heated gloves do? What about the heated jackets, hoodies and pants? What’s their flexibility and breathability like? A: We have very good success in the ski and snowboard market. Our gloves do have nice dexterity in comparison to a standard ski glove that has equal insulation. We provide 110 grams of insulation in our gloves, and the heating elements do not add unwanted bulk or reduce flexibility. You can literally roll up and scrunch our heating elements without ever damaging them. Our jackets and other garments are equally successful. They breathe well and again are extremely flexible without any concern of damaging the product. Q: Venture Heat offers therapy items as well, so clearly you have some medical/therapeutic sensibilities on staff. Have your designers heard of Raynaud’s syndrome? When looking at new products, how much are niche consumers like this on their radar vs. designing for a broader audience? A: Our heat therapy line provides many users relief in many different areas including Raynaud’s, stem cell recovery, arthritis and replacement surgeries, not to mention standard aches and pains. Our line is also great for pre-exercise warm ups. You can use them to warm and loosen your muscles prior to your physical activity. The key to our heat therapy line‘s success is that we use Far Infrared Heat technology that penetrates deep into the muscle tissue to provide warmth from the inside, not just burning the surface of the skin like traditional heating pads. Q: What are the biggest differences between a therapeutic heated item and one designed for more recreational use? A: There are not a lot of differences. We build portable battery powered heat therapy wraps that are designed specifically for certain body parts, like a knee or shoulder. We have many users wear them during their recreational activities. It helps provide deep heat to the specific troubled area they have and helps keep the muscles loose for their activities. Q: Raynaud’s sufferers tend to really be sensitive in the hands and feet. You seem to have hands well covered, if you’ll pardon the pun. What’s the likelihood that we’ll see heated socks in the future? What are the challenges to pulling that off? A: We are in the development stage of heated socks. We get asked this question a lot, and the reason we just don’t build one and bring it to the market is, like all of our products, we aren’t satisfied with just copying what is out there. Our goal is to provide a comfortable and functional solution for your feet. Q: How are the motorcycle gloves different from the standard battery-heated gloves? Is it mostly a voltage thing? Are there other differences? A: The 2 major differences are the heated motorcycle gloves are specifically designed as riding gloves and plug into your motorcycle, allowing for more all-around efficient heating. Our battery heated gloves are designed for winter sports and keeping warm during everyday activities, where has our motorcycle heated gloves have pre-curved fingertips for increased throttle feel, protection, leather palms for maximum grip and are wind and waterproof. Q: It sounds like there’s some excitement about the Escape USB Heated Softshell jacket. What innovations in it are you most proud of? A: We are extremely excited and proud of our Escape USB heated jacket because not only is a built for harsh conditions and stylish, but because of the power source – any 2.1A USB Power Bank can power the jacket for hours! Since many people already have a USB Power Bank, they can naturally save on cost and bring their own heat. By having a USB Power Bank as the jacket’s (and hoodie’s) power source, it allows for much longer heat duration since their capacity is much larger than a traditional 7V battery. Q: Are Venture Heat’s products washable? If so, what precautions should people know about before washing them? 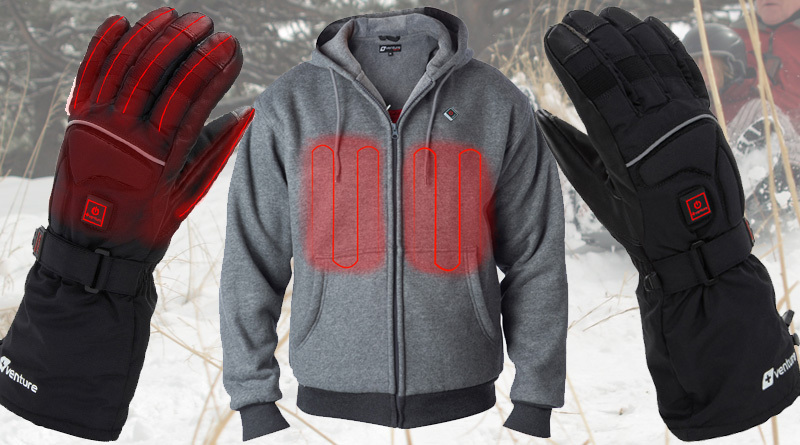 A: Our new Evolve Heated Hoodie and Escape Heated Jacket are machine washable. We recommend washing on cold and tumble dry on low. Our 7v and 12V heated products are to be washed by hand and hung dry. Special thanks to Kevin Ruter and the Venture Heat team for answering these questions about their powered products. If anyone has ideas for additional questions for a follow-up Venture Heat interview, feel free to share them in the comments section below. Yes, I have venture heat escape heated softshell jacket, it work very good to keep me warm to walk from home to strain station every day.